My third "Friends of North Korea" profile looks at Don Borrie, easily Pyongyang's most loyal Kiwi comrade. Don Borrie was a co-founder of the DPRK/NZ Friendship Society in the 70s and has long chaired the organisation. Don Borrie studied Theology at Otago Uni in the late '60s and has been active in radical causes, since that time. In 1970, Borrie travelled to war torn South Vietnam to find the "truth" about what was going on there. The visit was sponsored by the International Fellowship of Reconciliation. Not so much a "Hanoi Jane", more of a "Saigon Don". In February 1971, Borrie was elected to the of Executive of the NZ Race Relations Council an organisation completely dominated by Maoists. His attitude to racial matters was revealed in an article he wrote for Wolfgang Rosenberg's "Monthly Review" in June 1973. "White racism and capitalism go hand in hand... The white capitalist system must be the object of our critical attention..."
Through the early '70s Borrie was active in the anti Vietnam war movement and was General secretary of the Maoist leaning, NZ Christian Student Movement. Borrie was also linked to the radical Polynesian Panthers and worked with young Maoists and Marxist priest, John Curnow to move the aid agency CORSO in an even more radical direction. In 1975, (by now a clergyman), Rev. Borrie joined young Maoists and anarchists such as Amanda Russell, George, Rosenberg, Roger Steele and Roger Cruikshank in setting up the Sutch defence Fund, to help William Ball Sutch defend charges of spying for the Soviet Union. This organisation morphed into the Campaign to Oppose the Security Services, in which Borrie also played a leading role. This was all a distraction though, because in 1973, Don Borrie had found his true calling...his life's mission...his one true love-North Korea. Don Borrie helped found the DPRK/NZ friendship Society, a year later and by 1975 was chairman of the Wellington branch. In 1977, Borrie attended a seminar in Pyongyang, on "North Korean Socialism". Borrie travelled to the North Korean worker's paradise again in 1984 and several times thereafter. In 1985 the Reverend Borrie travelled to Prague for a meeting of the Soviet front, Christian Peace Conference. He reported back to his CORSO comrades on his perception of "the spirituality of Eastern Europe, the fear in the East of the Star Wars programme and the dependence of Western economies on the arms race and the respect for NZ since the no nukes initiative of the Labour Government". By 1986, Borrie was National Chairman of CORSO. 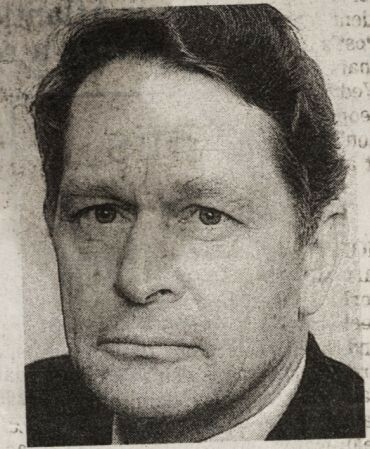 In 1990, "Red Reverend" Don Borrie unsuccessfully tried for Wanganui Labour Party nomination to succeed retiring MP, the "Red Reverend", Russell Marshall. The people of Wanganui fortunately had a rush of good sense. Through the '90s, Borrie worked closely with former members of the Workers Communist League, such as Sue Bradford, Robert Reid and Quentin Jukes, in the Building Our Own Futures project and the People's Network. In July 2001, Borrie again visited North Korea and later wrote these comments. Having visited the Democratic Peoples Republic of Korea (DPRK) on a number of occasions since 1973, the last being 1994, I was keen to learn about the impact of the floods, droughts, tidal waves that the country had experienced over the last five years. Alongside and in response to the natural disasters I wanted to learn something of the effectiveness and the interrelationships between the international aid development and agencies and the Korean culture and systems. Thirdly I wanted to learn about the impact on Korean thinking and policy of the 2000 north-south talks involving Kim Jong Il and President Kim Dae- jung and the subsequent hardening of American Administration attitudes under President Bush. From my New Zealand perspective I wanted to promote a climate of cooperation and goodwill by delivering messages of greeting, goodwill and offers of cooperation from the Salvation Army, Presbyterian Church of Aotearoa NZ, local Presbyterian congregations; the Whitireia Community Polytechnic (Porirua), the Mayor of Porirua, Trade Union leaders, aid and development agencies (CARITAS, Christian World Service). As one of five New Zealanders I wanted to support the Delegation Leader, Graham Kelly MP. Tim Beal and Stephen Epstein, Victoria University, and Verne Winitana, Maori health, educational provider and international sports administrator. Together, we were hosted by the Korea- New Zealand Friendship Society who supported us in our overall objective of helping to prepare the ground as private citizens for the forthcoming presentation of Ambassadorial credentials between the DPRK and New Zealand. Had the tireless work by DPRK/NZ Friendship Society chairman Borrie and his comrades paid off. Had their work contributed to NZ's decision to grant recognition to the Pyongyang regime. I rather suspect that it had. There is a North Korean book that has his speech to the audience in it that praises Kim Il Sung and "Korean socialism" widely, published in 1977/78. If NZ had decent journalists, he would be interviewed on TV and grilled about torture and gulags and how he can defend this regime when it operates a slave state. That would be a small taste of justice for this idiot. Yes Scott, wouldn't it be fun to watch the worm sqirm.